Blackhawk 20LO04BK Medium ALERT Load Out Bag FREE SHIPPING! Great new design for a tactical load out bag. Unbelievable compartmentalization and versatility. Unzips and folds out flat. 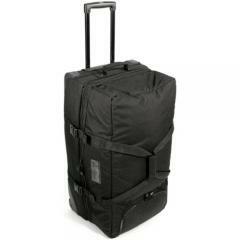 ©2002-2019 CopsPlus.com: Blackhawk 20LO04BK Medium ALERT Load Out Bag FREE SHIPPING!